For the last four years Cardiff Council have failed the children of Penylan, Roath and Plasnewydd by not providing sufficient places at the local catchment secondary school for all the children that live in the area. This has caused uncertainty for children about where they will go to secondary school and led to significantly increased levels of stress and anxiety; a growing number of parents have taken the difficult decision to relocate. Despite pressure from parents, local Councillors and school governing bodies, the Council have repeatedly failed to take action to address the mounting problem. Then for the first time this year the Council appeared to be proposing a solution that could benefit children living in areas with over-subscribed schools. As part of its annual school admissions consultation for the year 2019/2020 the Council proposed two different over-subsubscription criteria – A&B. Option A largely retained the status quo where proximity to the school is the deciding factor when a school is oversubscribed. Option B included a criteria of linked primary feeder schools. In the event of over-subscription, attendance at a linked feeder primary would be one of the deciding factors. The consultation stated that using this criteria, 33 pupils attending feeder schools for our catchment secondary school would have been admitted under option B that weren’t under the current system of proximity. The equality impact assessment (EIA) undertaken on option B. No equivalent EIA was undertaken on option A, however, which prevented an objective comparison of both options on different protected groups. The Council’s own Scrutiny Committee recommended such an assessment be undertaken. This advice was ignored. Responses were largely drawn from one part of Cardiff and so were not representative of the whole of the city. As the over-subscription criteria only affect schools that are oversubscribed, is it any surprise that the majority of respondents were from areas directly affected by this? Indeed, any other pattern of response would have been perverse. More weight was placed on the views of non-respondents than upon those of the actual responses themselves. 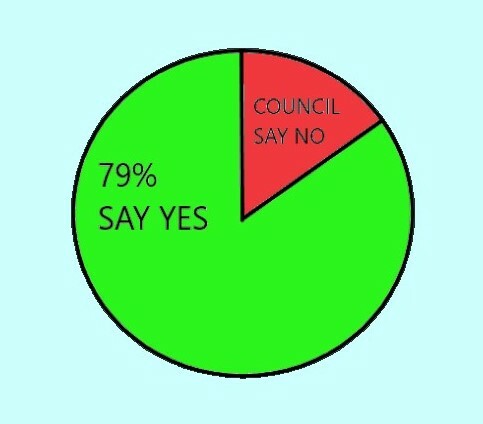 The Council appear to have assumed that those who did not respond would have voted for option A; this is a frankly bizarre approach to a public consultation. Significant emphasis was placed upon the results from the survey of pupils. This is of course somewhat ironic when the views of an overwhelming number individual respondents to the consultation proper have been effectively disregarded. We do not know which pupils were surveyed and whether this included any living in areas with oversubscribed schools. This consultation has at best been a seriously flawed exercise, or at worst a deeply cynical sham – designed to kick the over-subscription issue into the political ‘long grass’ ahead of the school investment programme, which is not due to expand Cardiff High (the catchment High School in this area) until 2020 at the earliest. Cardiff Council when rejecting option B did not put forward any other solutions to address the lack of places at Cardiff High for all children who live within the catchment. For yet another year the children of Penylan, Roath and Plasnewydd will be failed by Cardiff Council, and will face ongoing uncertainty and stress. Our children deserve better than this.